Ingredients: Radish, vegetable oil, edible salt, chili peppers, chicken oil, ginger, pepper, msg, incense, food additives, fresh chili peppers, edible salt and so on. Free to bring home Chongqing hotpot Master, help you pull up the taste of Chongqing hot pot! Step 1: A 1.5KG or so old duck slaughtered and washed, and then used boiling water to cheat out of the chop to be used. Step 2: Add 3KG of water to the pan, add a bag of this Laoya Tang Stew and chicken nuggets, simmer for 2-3 hours (can add your favorite dishes). Step 3: Sprinkle the pot with onion, you can enjoy the delicious. Duck fragrant rich, soup delicious, Tangtou thick white as coagulant and not greasy. 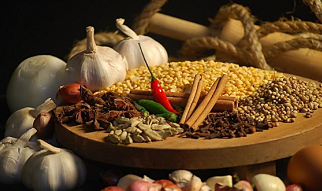 Rich in collagen, bone calcium and Other ingredients, stomach nourishing spleen, fitness, for many nutritionists praise, set food health, traditional nourishment, folk dietetic therapy for Dacheng delicious jiapin. A reasonable mix of meat and vegetables can provide a wealth of protein, vitamins, carotene, reduce fat and cholesterol absorption, protect gastrointestinal health. commuters, computer families, smokers, young and old are appropriate. Chongqing city, Liangjiang Hui, all over to fight. BA people's Bohemian and ingenuity created a series of [River and lake dishes] famous throughout the country. Old Duck Soup series in the Old River, beer duck based on the innovation of folk dishes, with delicious, salty and delicious unique flavor. Chongqing Baifu Food Co., Ltd. production and sales of seasoning series: Hot Pot Seasoning,Fish Seasoning,Chicken Seasoning,Chongqing Small Noodles Seasoning,Chongqing Braised Food Seasoning,Spicy Base Material,Laoya Tang Stew,Seafood Pot Bottom Material,Three Fresh Pot Bottom Material,Hot Pot Dipping Sauce. "Chongqing Little Swan" was founded in 1982 under the leadership of Chairman of the Board Mr. Liao Changguang and Miss He Yongzhi of president. The company always adheres to the spirit of enterprise with the "integrity of management, innovation and development" . Over 33 years of development, the company has become the multinational corporations with a restaurant chain, food production, hotels, travel, real estate development, logistics business, and Other cultural and creative industries . Chongqing Cygnet Baifu Foods Co., Ltd, built the full co-funded food enterprises in 1995 which is made up of Chongqing Cygnet Investment (Holdings) Group Limited (registered capital of 11 million yuan) and Chongqing Cygnet Changguang Foods Co., Ltd. (registered capital of 20 million yuan) . 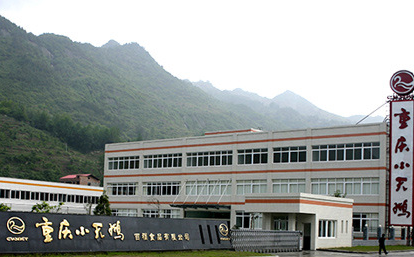 The Company is located in Chongqing City, Shizhu County, and covers an area of 40 acres, the construction area of 20000 square meters, the factory construction area of 9800 square meters, with a total investment of 45 million yuan, There are a staff of 135 people in the company. The Company has R & D center, production center, quality control center, marketing planning center, logistics and distribution center and agricultural raw material planting base. 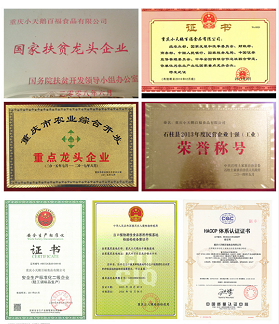 In order to establish the quality first, the credibility of the first international large companies, The Company has passed the 2000 quality management system certification and HACCP international food hygiene certification. 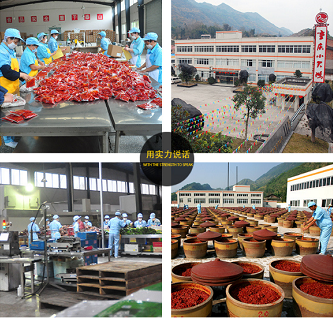 At present, our production of seasoning series (Chongqing hot pot bottom material, Mala Tang bottom material, spicy fish sauce, spicy chicken seasoning, Sichuan spices etc.) has spread all over the China and also established nationwide sales network, and in 2008 they were exported to Europe, North America, Southeast Asia and other countries and regions. We sincerely welcome friends from all walks of life to visit our company, and can work with our company to establish mutually beneficial cooperation . Company Name: ChongQing Baifu Foods Co., Ltd.